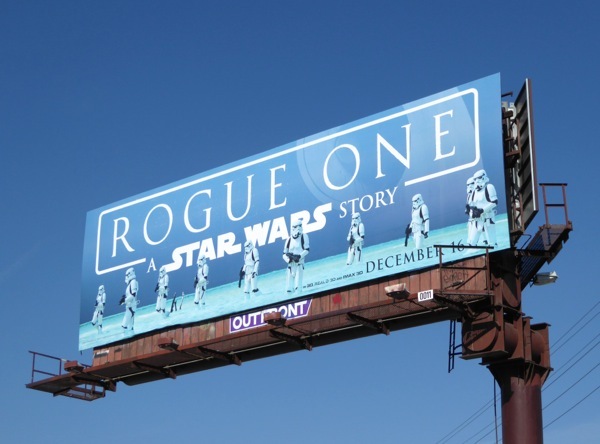 Last year Star Wars: The Force Awakens charted new territory thirty years after the events of Return of the Jedi with both familiar and new faces to help restart the sci-fi film franchise, this December however we'll be transported back in time to before Episode IV: A New Hope courtesy of Rogue One. 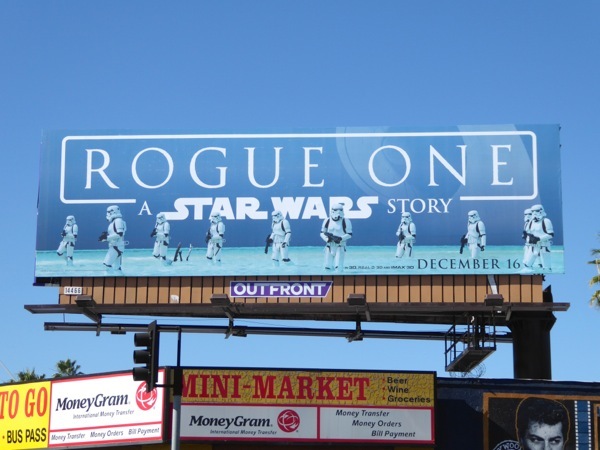 In this new standalone Star Wars story prequel, we'll finally find out how the Rebellion managed to get the plans to the Empire's plant-killing Death Star that 'Luke Skywalker' blew to smithereens back in 1977. 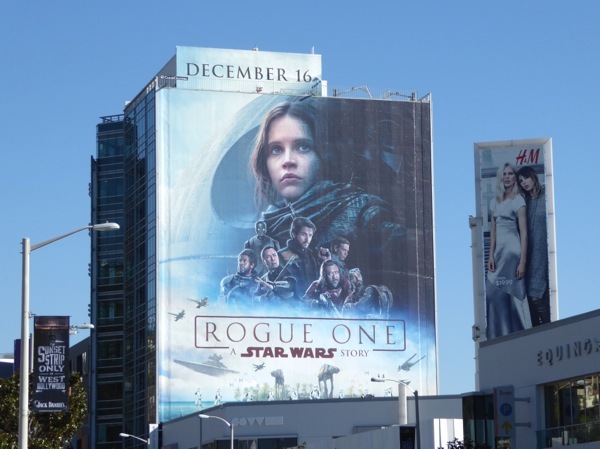 British actress Felicity Jones plays the defiant heroine, 'Jyn Erso', who is reluctantly drafted by the Rebels to lead a ragtag (and diverse) group of fighters to obtain the essential blueprints for the deadly weapon. 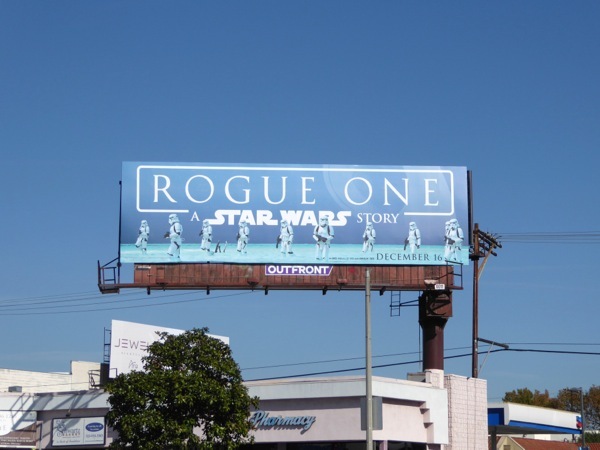 Not only will the film introduce a whole new band of characters and droids, but it'll also tap into a whole font of nostalgia from the original film trilogy and feature expanded roles for the likes of 'Mon Mothma', 'Bail Organa' and 'Darth Vader' himself (and we're sure it'll offer more than a few surprises too). Not only will we get to see some familiar faces, but fans will also be able to enjoy some classic aliens, starships, vehicles and yes, the Empire's forces in their original Stormtrooper armour. 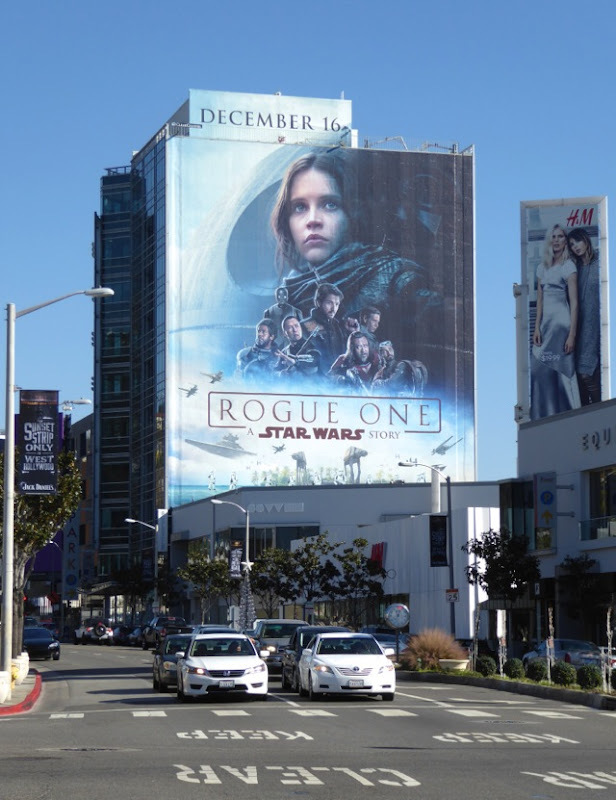 Felicity Jones will be joined in her risky mission in director Gareth Edwards grittier film by the likes of Diego Luna, Forest Whitaker, Jiang Wen, Donnie Yen and Alan Tudyk (as the voice of new droid K-2SO), whilst Mads Mikkelsen will star as Jyn's distant father and Ben Mendelsohn will play the film's main Imperial villain. 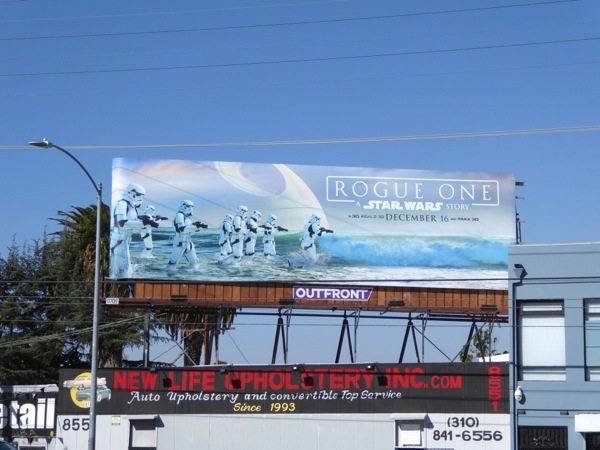 This almost iconic Stormtroopers ad creative was first spied along Hollywood Boulevard on November 18, then later above Beverly Boulevard and Santa Monica Boulevard through November 30, 2016. 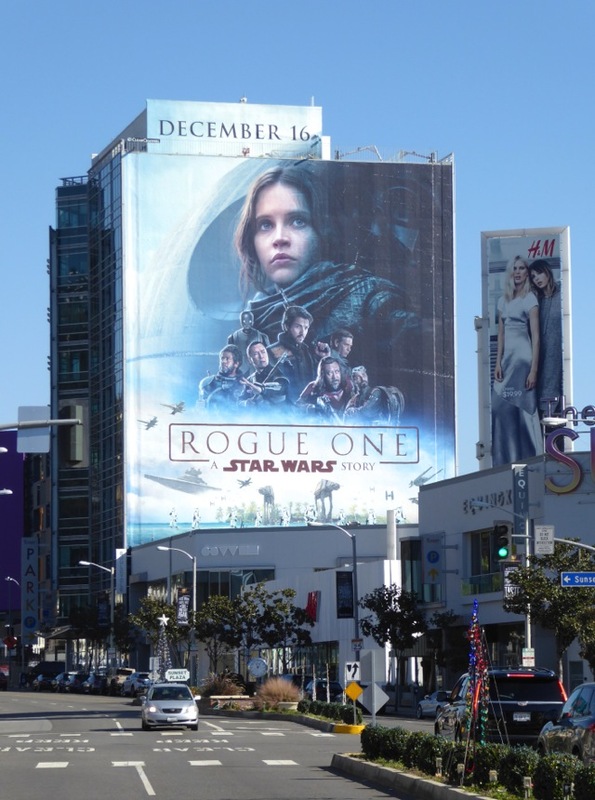 Meanwhile the giant-sized version, featuring Jyn Erso and her band of plucky Rebels in the shadow of the Death Star and Darth Vader, was snapped looming large over West Hollywood's Sunset Strip on November 29, 2016. 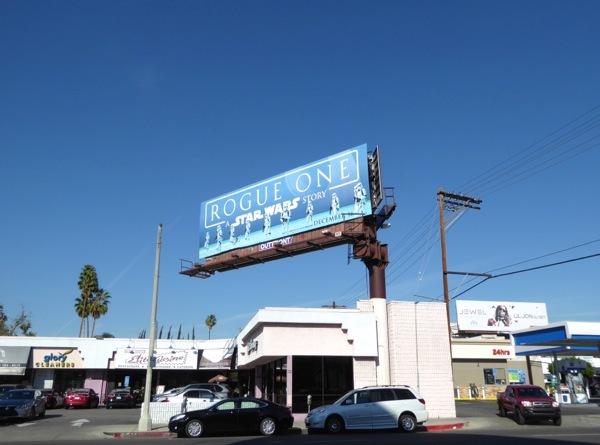 Fans of a galaxy far, far away can also enjoy all these Star Wars: The Force Awakens movie billboards from around this time last year. 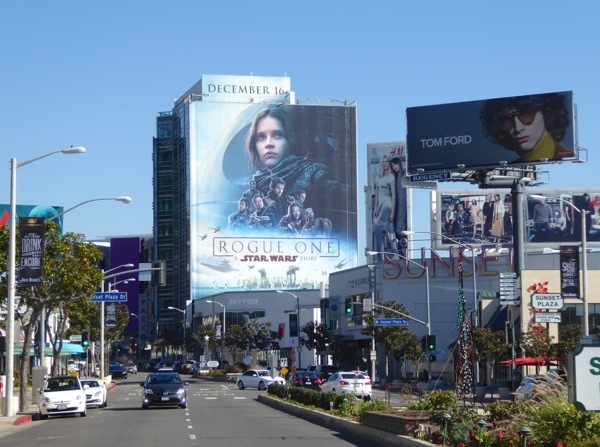 Plus admirers of rising star Felicity Jones can also check her out in these Inferno movie billboards alongside Tom Hanks. 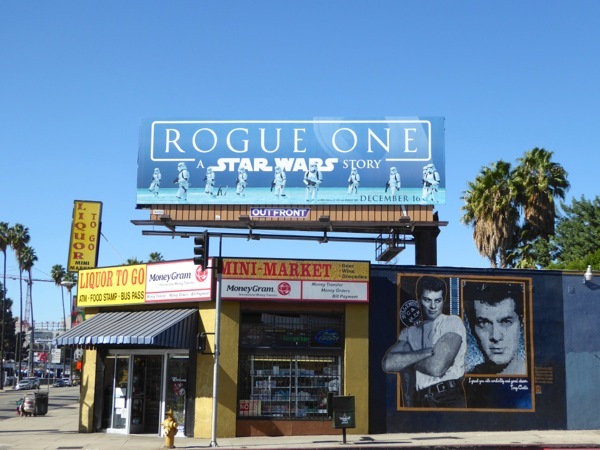 With one-off origin stories in the works for other popular Star Wars characters like 'Han Solo' (to be played by Aldren Ehrenreich, with Donald Glover cast as a young 'Lando Calrissian'), let's hope that Rogue One is a spectacular and worthwhile addition to the epic space opera universe created by George Lucas. 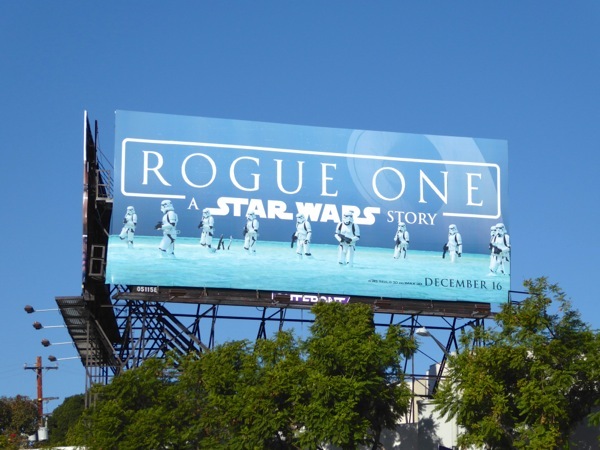 May be the Force be with us this holiday season, it's time to rebel. 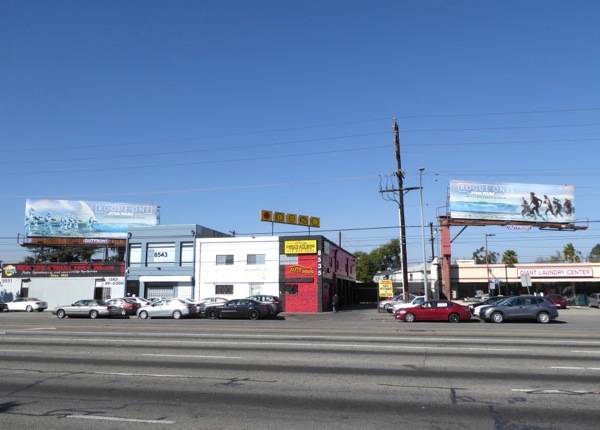 UPDATED: Here's also a cool duo of interconnected billboards spied along Venice Boulevard at La Cienega Boulevard on December 2, 2016. 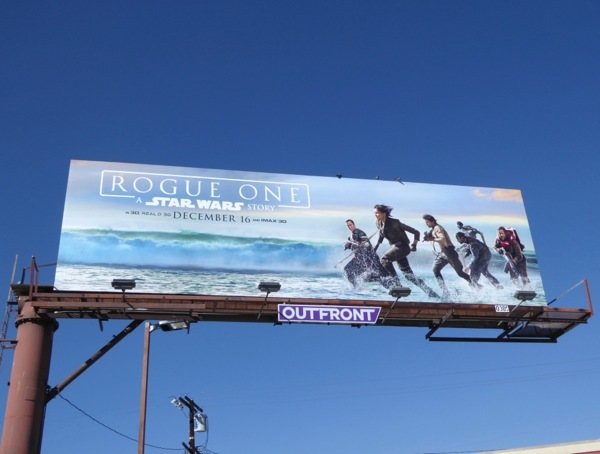 The two billboards show Stormtroopers facing off against Jyn's ragtag bunch along a beach shoreline, making for a dramatic visual for passing traffic. 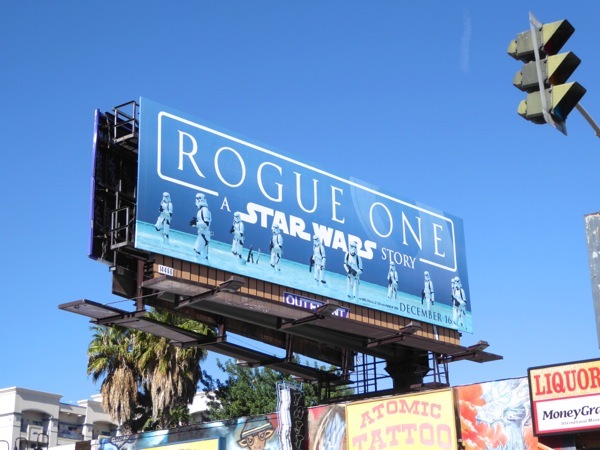 UPDATED: Fans of the blockbuster Star Wars movie can also check out these Rogue One film costumes on display at the El Capitan Theatre in Hollywood.